The used car market in India is larger than the new car market. In 2018, approximately 4 million used cars were sold, as compared to 3.6 million new cars, as per the data by SIAM. It has been seen that 60% of the used car buyers are first-time car buyers. Rest 37% buyers of used cars are multi-car families and only 3% are those who replace their pre-owned car with one more second hand car. The market of used cars is expanding because of certain factors such as demand of luxury cars is increasing, two-wheeler owners are targeting for small and compact cars, the ownership period of cars are decreasing, and income levels of people are increasing. A car is usually the second biggest investment for an average middle-class family, and it is also an asset that cannot be held forever. So, a car is known as a depreciable asset. People tend to sell their old cars, to upgrade to newer and bigger ones within a period of 3 to 5 years. To facilitate this process, resale value is an important factor that is to be considered while buying a new car. Checkout the below given top 5 used cars that have the highest resale value in their respective segments. Some call it BOXY, the others call it UGLY, but the world calls it practical. With over 15 million proud owners, Maruti Suzuki Wagon R is one of the best selling cars, not only in India but also across the world. Launched in 1999, Wagon R never fails to stay ahead of its competition with constant updates and refreshes. In its latest avatar, Wagon R is powered by a 1l K series petrol motor churning out 67bhp of power and 90 Nm of torque. The tall boy design facilitates easy ingress and egress. With its compact dimensions, the space it offers is simply mind-blowing. Additionally, this makes driving the car a breeze. If you want a practical car, best suited for the city and occasional highway trips, which is also light on your pocket, then WAGON R is the car for you. Rs. 4.95 lakhs for second hand cars in Bangalore 2017 model and so on. Maruti, the name says it all. It is the most valuable and reliable brand in cars in India. 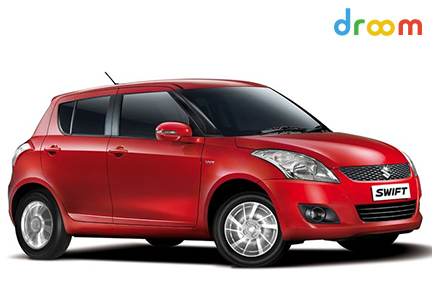 Maruti Swift is powered by two engines, a 1.2l K series petrol motor and a fiat sourced 1.3l multijet oil burner. It offers a mix of both practicality and fun at the same time. The car’s suspension is tuned so well for Indian roads that it glides over bad surfaces, offering best in class driving and handling experience. Maruti Suzuki Swift never fails to feed the enthusiast in you and even if you push the car to its limits, the fuel and maintenance bills will be light on your pocket. The downside of the car, however, is the lack of legroom in the rear. The all black interiors too make the car look a lot smaller than it is actually. The boot space is also not practical with 204 litres on offer. The front seats are supremely comfortable though. The steering is a breeze and the light and easy controls make driving in stop-go-traffic a breeze. There is no limit in modifying a swift. From performance to looks, you can play around with the car. If you want an overall package with a little extra that’ll never fail to put a smile on your face, then Swift is the car you should look for. The best part is a Swift never gets old. If you get Swift old car for sale, you should not miss the opportunity. You just need to ensure a few things, such as the condition, history, age, ownership and price of the car before proceeding. But once, you have done those with the help of certain tools like know the condition of the car with ECO, you can surely proceed to buy second hand car, a Maruti Swift. Rs. 7.08 lakhs for used cars in Delhi 2018 model, etc. 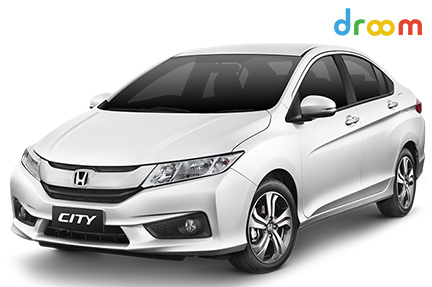 Honda city has been the king of the segment since the time of its launch in India. As the competition equipped their cars with diesel engines, City lost its charm and was dethroned by the Hyundai’s Verna. So, city filled this gap with a 1.5l diesel engine and got back its throne. City is offered with two engine options. A 1.5l petrol motor and a 1.5l diesel motor. The petrol motor has got 118PS of power and 145Nm of torque and the diesel motor has got 100PS power 200 Nm of torque. But the best part about the diesel City is its fuel efficiency. With a tall 6th gear, Honda City offers a fuel efficiency of 26 Kmpl. On the performance front, the petrol City is a thriller while the diesel City is a sedate cruiser. The downside of the diesel motor though is the engine noise and vibration that filters into the passengers’ cabin. On the interiors, the City has got the most futuristic cabin with touch screen operated instrument for the air conditioner control. The quality though is nowhere in comparison to its German rival, the Volkswagen Vento. The cabin is nice and airy and frees up a lot of space with the maximum wheelbase in the segment and all the seats are supremely comfortable. If you want an overall package with best value for money proposition, then City is the car for you. Rs. 8.05 lakhs for used cars in Mumbai 2015 model, and so on. If features are the most important factor for you in buying a car, then Hyundai Verna is the best choice as it is loaded with so much equipment that can put cars of a segment or two above to shame. The car targets a wide segment of buyers with two petrol and two diesel motors. The 1.6l diesel motor has the highest power and torque figures on paper in the segment. It has 128Ps of power and 260 Nm of torque and this variant is the bestselling of the portfolio. All this power goes into vain as the handling characteristics are scary. The rear space too is the smallest in the segment. 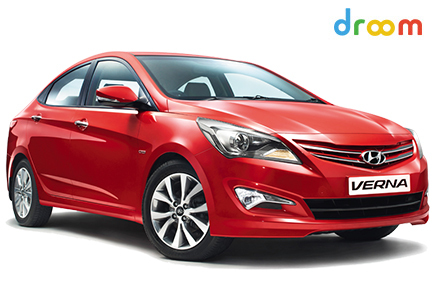 Where the Hyundai Verna scores over the competition is the refinement of the engine. If you want to show off to your neighbors with a car that is the best looking in the segment and has got the highest power on paper and maximum features, then the name of the car is Hyundai Verna. Rs. 8.50 lakhs for used car in Kolkata 2016 model, etc. Scorpio has made Indians proud as it was the very first home-grown SUV with a go anywhere ability, being sold in 10+ countries across the globe. This car put most of the D segment luxury cars to shame as it offered value that was a step ahead of the luxury cars. Mahindra Scorpio has evolved over the time and now it stands as an almost niggle free product. Scorpio is offered in both 2WD and 4WD variants. Scorpio also had the pride of carrying our Prime minister, Shri Narendra Modi when he was the Chief Minister of Gujarat. He, after taking charge as the Prime Minister still wanted to travel around in the Scorpio but the security agencies preferred BMW 7 series over the mighty muscular Scorpio. Like our Prime Minister, Scorpio is also the favorite car among other politicians in the country. Why is the car so famous? Well, the answer is simple. The car has a mighty presence, a rugged build and go anywhere ability. Many enthusiasts proudly say that “When you are behind the wheels of the Scorpio, the world is under your foot”. 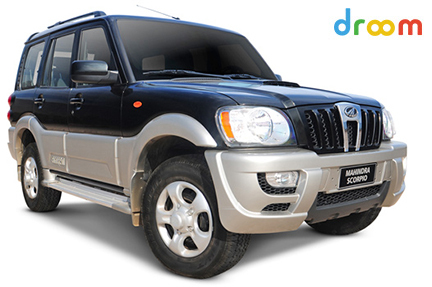 Scorpio is offered with a powerful yet efficient 2.2l M hawk diesel motor. It combines power with practicality. In the space front, the Scorpio is offered with 7 and 8 seat options and with the last row folded up, it frees up a lot of storage space. If you want a SUV with car-like-driving manners and that wouldn’t take a dip in your wallet, then Scorpio should be your choice. These are the reasons why you will get high resale value on Scorpio. Rs. 9.85 lakhs for second hand cars in Mumbai 2017 model, so on and so forth. You can purchase any of these cars and their used versions will surely help you to get the resale value the most as compared to any other cars in the market. What are the cool facts about Jeep Compass Sport Plus SUV 2019? As mentioned in the list, Honda City, Maruti Swift, Maruti WagonR definitely are the best cars with good resale value. The Hyundai Elite i20 and Creta too can be listed as “best resale value” cars! Nice compilation! I must say you have hi quality posts here. Your blog should go viral.